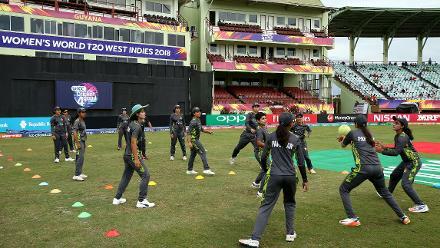 Pakistan players warm up during the ICC Women's World T20 2018 match between New Zealand and Pakistan at Guyana National Stadium on November 15, 2018 in Providence, Guyana. Katey Martin and Kate Ebrahim of New Zealand greet each other during the ICC Women's World T20 2018 match between New Zealand and Pakistan at Guyana National Stadium on November 15, 2018 in Providence, Guyana. 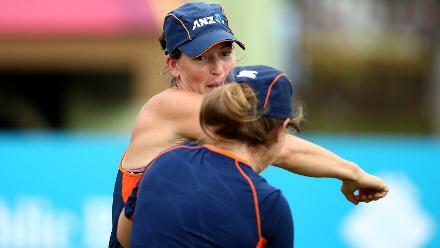 Leigh Kasperek and Amelia Kerr of New Zealand prepare during the ICC Women's World T20 2018 match between New Zealand and Pakistan at Guyana National Stadium on November 15, 2018 in Providence, Guyana. Holly Huddleston of New Zealand warms up during the ICC Women's World T20 2018 match between New Zealand and Pakistan at Guyana National Stadium on November 15, 2018 in Providence, Guyana. Javeria Khan of Pakistan looks on from the dugout during the ICC Women's World T20 2018 match between New Zealand and Pakistan at Guyana National Stadium on November 15, 2018 in Providence, Guyana. 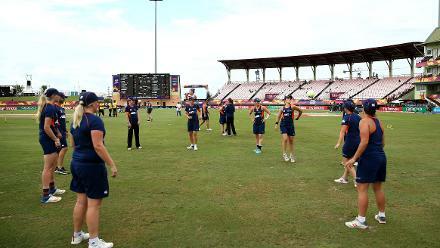 New Zealand players warm up during the ICC Women's World T20 2018 match between New Zealand and Pakistan at Guyana National Stadium on November 15, 2018 in Providence, Guyana. 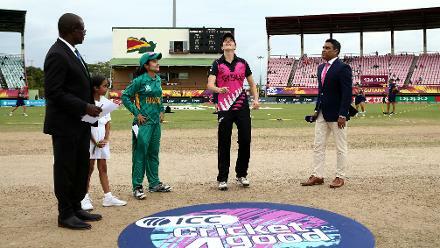 Amy Satterthwaite of New Zealand toss the coin with Javeria Khan of Pakistan looking on during the ICC Women's World T20 2018 match between New Zealand and Pakistan at Guyana National Stadium on November 15, 2018 in Providence, Guyana. 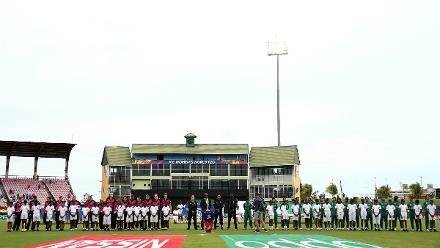 Teams line up for the national anthems during the ICC Women's World T20 2018 match between New Zealand and Pakistan at Guyana National Stadium on November 15, 2018 in Providence, Guyana. 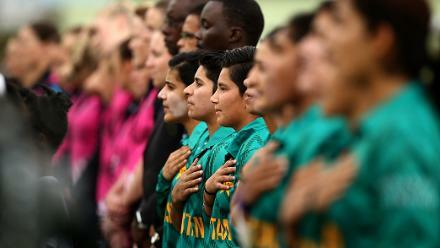 Pakistan players sing their national anthem during the ICC Women's World T20 2018 match between New Zealand and Pakistan at Guyana National Stadium on November 15, 2018 in Providence, Guyana. 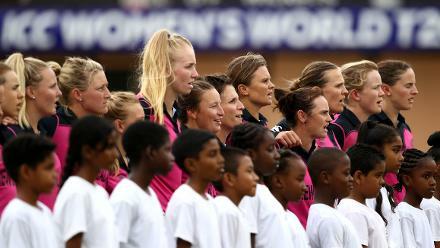 New Zealand players sing their national anthem during the ICC Women's World T20 2018 match between New Zealand and Pakistan at Guyana National Stadium on November 15, 2018 in Providence, Guyana. Javeria Khan of Pakistan talks to her team in a huddle during the ICC Women's World T20 2018 match between New Zealand and Pakistan at Guyana National Stadium on November 15, 2018 in Providence, Guyana. 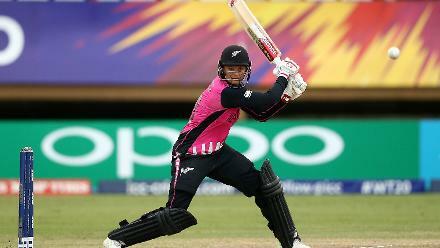 Suzie Bates of New Zealand bats during the ICC Women's World T20 2018 match between New Zealand and Pakistan at Guyana National Stadium on November 15, 2018 in Providence, Guyana. 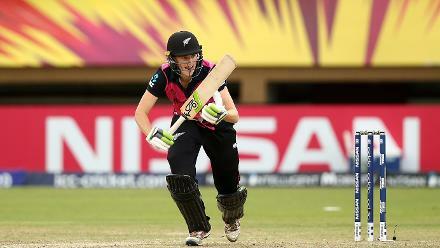 Sophie Devine of New Zealand bats during the ICC Women's World T20 2018 match between New Zealand and Pakistan at Guyana National Stadium on November 15, 2018 in Providence, Guyana. 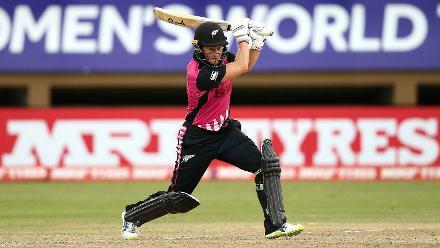 Amy Satterthwaite of New Zealand bats during the ICC Women's World T20 2018 match between New Zealand and Pakistan at Guyana National Stadium on November 15, 2018 in Providence, Guyana. 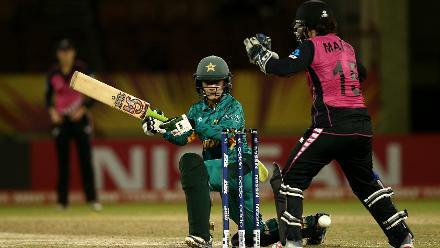 Javeria Khan of Pakistan bats with Katey Martin of New Zealand looking on during the ICC Women's World T20 2018 match between New Zealand and Pakistan at Guyana National Stadium on November 15, 2018 in Providence, Guyana. 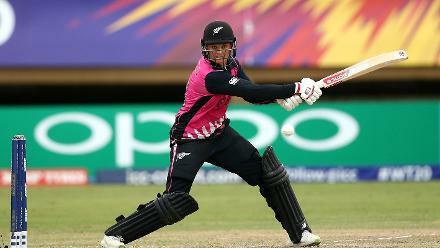 Leigh Kasperek of New Zealand looks on during the ICC Women's World T20 2018 match between New Zealand and Pakistan at Guyana National Stadium on November 15, 2018 in Providence, Guyana. 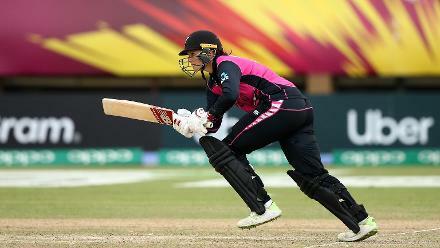 Sophie Devine of New Zealand bowls during the ICC Women's World T20 2018 match between New Zealand and Pakistan at Guyana National Stadium on November 15, 2018 in Providence, Guyana. 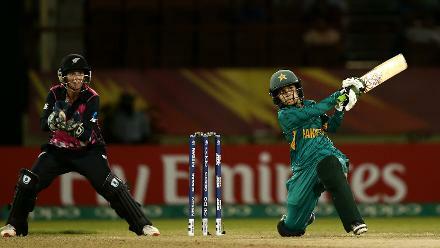 Javeria Khan of Pakistan bats during the ICC Women's World T20 2018 match between New Zealand and Pakistan at Guyana National Stadium on November 15, 2018 in Providence, Guyana. 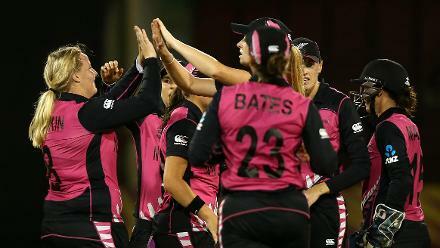 Lea Tahuhu of New Zealand celebrates a wicket with team mates during the ICC Women's World T20 2018 match between New Zealand and Pakistan at Guyana National Stadium on November 15, 2018 in Providence, Guyana. 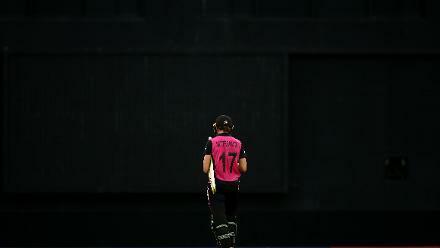 Amy Satterthwaite of New Zealand makes her way back to the dug out during the ICC Women's World T20 2018 match between New Zealand and Pakistan at Guyana National Stadium on November 15, 2018 in Providence, Guyana. Jess Watkin of New Zealand celebrates a wicket with team mates during the ICC Women's World T20 2018 match between New Zealand and Pakistan at Guyana National Stadium on November 15, 2018 in Providence, Guyana. 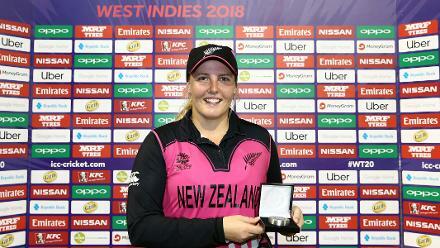 Jess Watkin of New Zealand poses with the player of the match award during the ICC Women's World T20 2018 match between New Zealand and Pakistan at Guyana National Stadium on November 15, 2018 in Providence, Guyana. 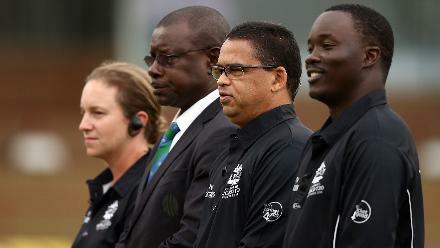 Claire Polosak, Richie Richardson, Shaun George and Langton Rusere look on during the ICC Women's World T20 2018 match between New Zealand and Pakistan at Guyana National Stadium on November 15, 2018 in Providence, Guyana.